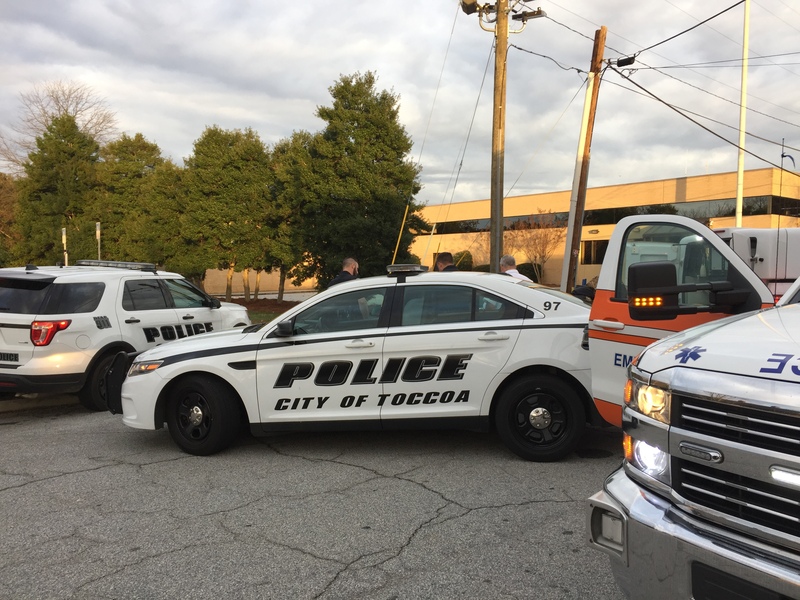 It is still not clear what the caused the death of a Toccoa woman whose body was found early Friday morning across from the WNEG studios. Morning host Connie Gaines called in a welfare check to 911 at 7a Friday morning when she noticed a person slumped over inside a black Cadillac sedan parked in front of the station’s rain gauge on Alexander St.
Gaines said the car was parked with the lights still on. Stephens County Coroner Chris Stephens tells WNEG News, when officers arrived, they found an elderly woman deceased inside the vehicle. Stephens said he’s not sure how long the victim had been there. However, family members indicated to WNEG she had planned to attend the Milkshake Mayfield concert at the Ritz Theatre Thursday evening. Stephens said the cause of death is undetermined. Her body was sent to the GBI Crime Lab in Atlanta for autopsy.